Leading up to the 2014 national and provincial elections, the ANC asked for, and was paid, kickbacks to the tune of R1.8 million by facilities company Bosasa. 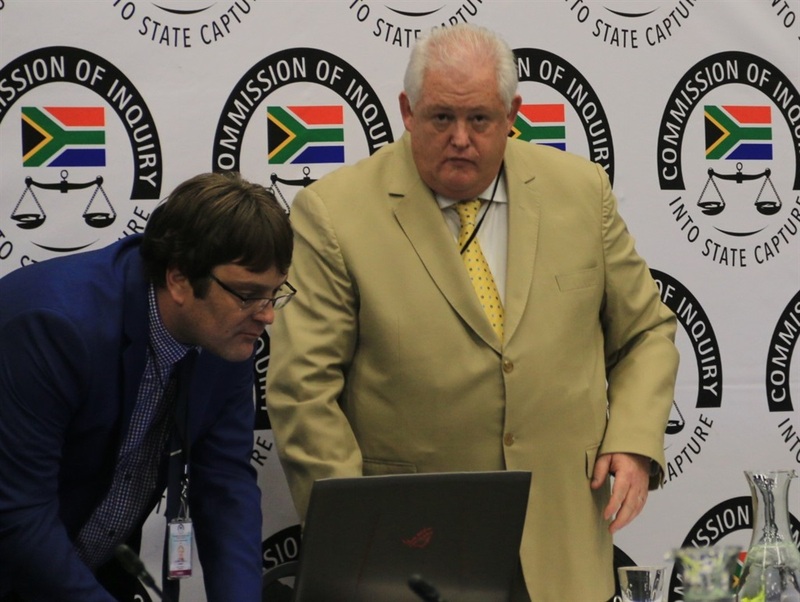 This was according to testimony given by former Bosasa chief operations officer Angelo Agrizzi, who continued his testimony before the state capture commission on Friday. Agrizzi said the ruling party, through its North West MEC for social development, approached Bosasa and requested funds “for electioneering”. He said he could not recall the MEC’s name, however, the meeting was facilitated by Bosasa’s head of youth development centres, Syvion Dlamini. “The meeting was held at a stadium in Rustenburg where the then MEC for social development told me the money was for electioneering,” said Agrizzi. He explained that the request for funds by the ruling party was solicited after the department of social development had paid Bosasa to install software that had already been installed. “For this North West transaction [the nonexistent installation] Bosasa was paid R3.4 million and the individual [ANC representative] was given R1.8 million,” explained Agrizzi. It was evident from his evidence that Bosasa was paid for services that were never rendered. “The way we manage it [the transaction with the department of social development], it would be difficult for even a forensic auditor to pick it up,” said Agrizzi. He explained that the software invoiced by the department to be paid to Bosasa was already installed in the computers, meaning if anyone was to follow up on the transaction and try and verify if indeed services were rendered they would find that the software was indeed there. This example of money laundering was one of many that Agrizzi laid bare before the commission on Friday. His testimony revealed how the facilities company “would issue cash cheques and cash it at a bank and also fake invoices created from a company on the brink of liquidation or start up companies with no VAT numbers,” in order to avoid paying value-added tax and to raise suspicions, particularly with the South African Revenue Service. He also recounted how Bosasa accumulated cash meant for paying kick backs through utilising a Metropolitan death benefit fund that Bosasa registered for employees. “Death certificates are always delayed so they would issue cheques in advance. When family members died, there would be two cheques – one for cash. Employees would not receive the cash and the money was used to pay bribes”. He added that “the employees never knew anything about this”. Similar to what occurred yesterday, there was drama following the resumption of the commission following the lunch break. 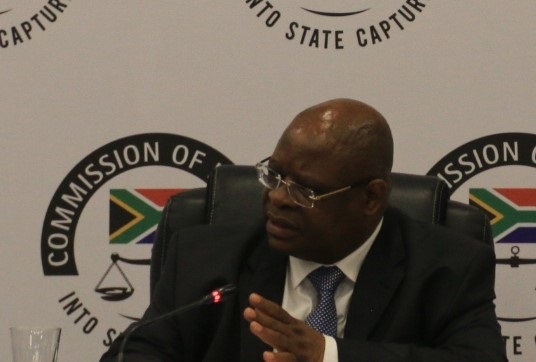 Commission chairperson, Deputy Chief Justice Raymond Zondo, informed those in attendance that he had released a statement on the status of commission secretary Dr Khotso de Wee, who was implicated by Agrizzi’s testimony. In his testimony, Agrizzi said De Wee was one of the senior officials of the department of justice and constitutional development who were paid bribes by Bosasa in regards to a tender rendered in 2013 for the establishment of security systems in various courts throughout the country. In the statement Zondo said De Wee had decided to not report for duty and take “special leave pending the outcome of the investigation of the allegations against him”. Zondo indicated that he had accepted De Wee’s position. It has also emerged that Bosasa chief executive Gavin Watson’s company Sondolo IT (now trading as Global Technology Systems) won the tender to provide security to the state capture commission. But Zondo stopped the tender it was exposed in the media.